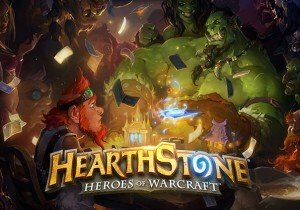 What exactly is a “Hearthstone Year”? Each Year in Hearthstone ushers in a new Standard format, with an updated card set rotation that will change the meta in a drastic way. It should lead to more variety and exploration in how deck construction works. As the first expansion launches in 2018, this New Year will occur, the “Year of the Raven”, and the following sets will become exclusive to Wild: Whispers of the Old Gods, One Night in Karazhan, and Mean Streets of Gadgetzan. Once the Year of the Raven has begun, all sets that are exclusive to Wild can still be bought from the online shop (this includes Adventures). With this new year, comes a new hero: The Druid Lunara, first daughter of Cenarius. Players who win ten games in the standard format will earn her. This Year of the Raven will also feature three expansions, with over 130 cards and single-player content to explore. There will also be a Q&A with developers Ben Brode and Yong Woo as they answer questions from the community and reminisce about Year of the Mammoth. A link can be found below. · This feature will help players run a Hearthstone tournament from their own home or Fireside Gathering. · Players will be able to create a custom tournament and invite friends–all from within the Hearthstone game client. · Will begin with handling matchmaking and checking decks, but we’ll continue to add new features and functionality over time. · We’re planning to launch in-game tournaments as a beta around the middle of this year, but that will just be the beginning as we expand on this early version of the feature. – Ice Block: This Mage secret is a powerful card, and was the centerpiece of Standard decks for many years. Now it’s time to make more room for new Mage decks in Standard. – Coldlight Oracle: Coldlight Oracle is becoming exclusive to Wild for several reasons: It offers unusually strong neutral card draw which can be detrimental to class identity, its “downside” can destroy opponent’s cards and prevent opponents from playing the deck they built—which in turn limits some designs related to Battlecry and effects that return a minion to hand. Taken individually, any one of these reasons might not be enough to prompt a promotion to the Hall of Fame, but when viewed as a whole, we feel that it’s time for Coldlight Oracle to leave Standard play. – Molten Giant: Moving Molten Giant to the Hall of Fame and reverting it to its original mana cost will allow players to experiment with decks featuring Molten Giants in the Wild format. Kill3rCombo has announced a major update for players of Elsword.